The government will exempt feasibility studies to revitalize regional economies. The decision was announced at a press briefing chaired by Deputy Prime Minister and Finance Minister Hong Nam-ki on Tuesday. Under the plan, the government will spend 24.1 trillion won ($22 billion) on 23 projects. Of the total budget, 3.6 trillion won was allocated for developing regional strategic industries through R&D investment, with 5.7 trillion won set aside for expanding infrastructure by building roads and railways, 10.9 trillion won for constructing transportation network, and 4 trillion won for improving the livelihood of local residents. “Those thinly populated regions with poor public infrastructure face difficulties in pursuing large projects that are needed for development because they cannot pass feasibility studies, which leads to a vicious cycle in which young people are leaving regions and infrastructure projects are being delayed,” Hong said. 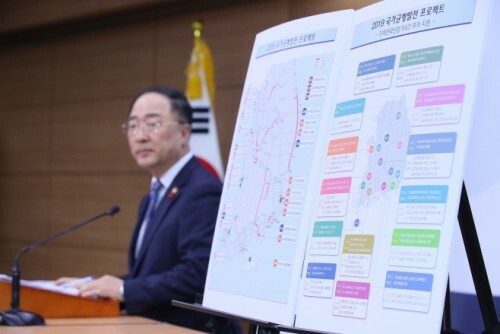 17 cities and provinces have applied for feasibility study exemption for 33 projects worth around 81.5 trillion won in total. The government gathered opinions from local governments about the priority and necessity of the projects. The government hopes to create synergy effect through the exemption plan combined with its comprehensive and preemptive investments on key regional infrastructure and strategic industries. In addition, the government plans to build a regional transportation and logistics network that raises national competitiveness along with the creation of mid- and long-term demand in the regions, and to carry out large projects such as R&D investment in a speedy manner. The government excluded applicants from the metropolitan area for this project. 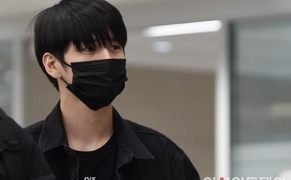 However, it particularly took notice of employment and industrial crisis regions, such as South Gyeongsang Province and Ulsan, Gunsan in North Jeolla Province, and Mokpo in South Jeolla Province.